The Liam and Tom O’Flaherty Society will honour Roger Casement’s contribution both to the Irish Nation and to the welfare of the schoolchildren of An Cheathrú Rua with a tree planting ceremony at 1 p.m. on August 3rd, the centenary of his execution by British imperialism. In 1913 Roger Casement travelled to Conamara and visited a number of schools including Scoil Mhic Dara in An Cheathrú Rua. Afterwards, he wrote about the devastating poverty he witnessed noting that it was on a par with anything he had seen in the Congo or amongst the Putumayo Indians in the Amazon: “It was the most-miserably situated rural communities that any civilised country holds today,” he wrote at the time. At 1 p.m. on Wednesday 3rd August Mairéad Mhic Dhonncha, the present school principal of Scoil Mhic Dara in An Cheathrú Rua, will plant an ash tree on the original grounds of the school when Casement visited in 1913 and where Áras Uí Chadhain now stands. 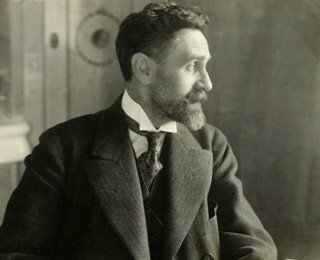 It is worth noting that Roger Casement also had a close link to Inis Mór and the O’Flaherty’s. During his visit to the island he visited the national school in Fearann an Choirce and presented the young pupil Tom O’ Flaherty with an education sponsorship prize. All are welcome to attend the event of Wednesday 3rd August.